Spitting image. My question is how does Pablo do it. Including spring training and playoffs, a baseball season can run from early March to late October. 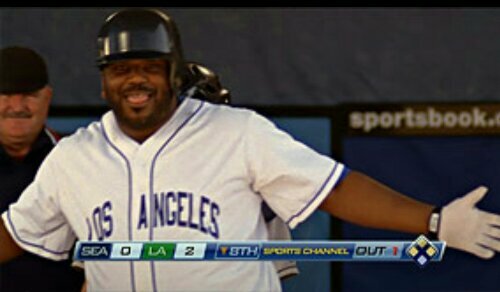 Where does he find the time to star in Eastbound and Down. Not only that, but he was a series regular on The Office and starred in movies. 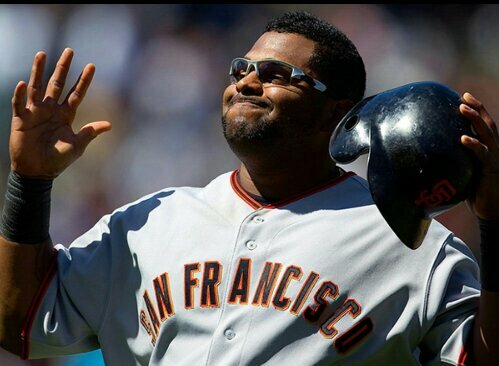 Is Pablo Sandoval a super hero? No other explanation for how he can be so many places at once. I know deep down he must be dying to tell the world his story. When this comes out, it’s going to dominate headlines. America’s first baseball player/actor super hero. I can feel it in my plums. Posted on August 20, 2013, in Average Blog Posts and tagged actor, baseball, giants, hbo, MLB, san francisco, show, TV. Bookmark the permalink. 1 Comment.